Blends of Grenache, Shiraz and Mourvedre (a.k.a. Mataro or Monastrell) is McLaren Vale’s signature blended wine. Nose: Cedar and nutty oak note with a hint of ethereal vanilla with blue fruits that is reminiscent of mulberry. A touch of liquorice, cedar and crisp acidity and alcohol lift adds complexity. 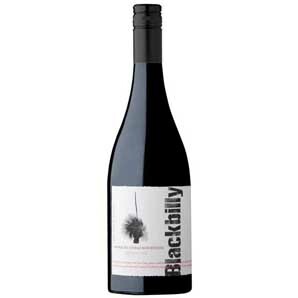 Palate: Ripe and fleshy up front black fruits combine well with a solid mid palate highlighting oak tannin and flavour. Crisp acidity keeps the freshness and appeal of this full bodied style. Foods: Steak, lamb roasts and hearty stews. Category: Blackbilly. Tags: Blackbilly, GSM, Vintage 2015.